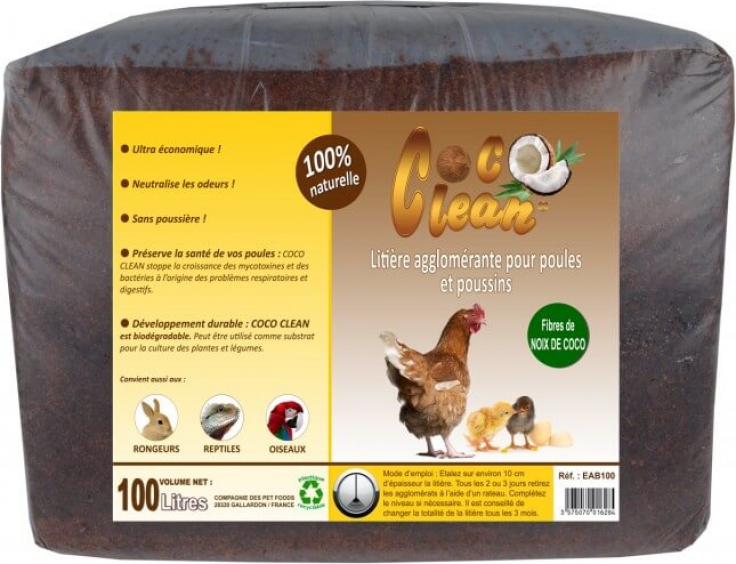 COCO CLEAN is 100% natural and preserves the health of your hens and chicks: It stops the development of mycotoxins and bacteria that cause respiratory and digestive problems. The salts naturally contained in coconut husks contain tannin and potassium, inhibit fungal and bacterial growth. There are mainly two types of hen parasites: blood-sucking parasites and parasites that feed on the remains of dead skin or feathers. COCO CLEAN is super economical. Using a rake, you can remove the soiled litter. Just simply refill to the level to maintain a height of 10 cm. This one-time cleaning saves large amounts of litter, up to 6 times less than a traditional straw!